Work on Golang started back in 2007 by Robert Griesemer, Rob Pike, and Ken Thompson at Google. So that kinds of make Golang 10 years old in 2017. Although work started in 2007, the language was however announced in 2009. It reached version 1.0 in 2012. A little about the creators – Rob Pike was a member of the unix team and he is known for his work on Plan 9. Ken Thompson designed and implemented Unix. He also created the B language (from which C was inspired). He was also involved in the Plan 9 project. The creators of Golang saw this problem as an opportunity to create a better language that could solve these problems at hand. Why did Golang become so popular? Go came with better offerings, specially with solutions to what many of us (including the Googlers) faced. When I read (or write) Go code, I feel like the following equation makes perfect sense => C + Python = Golang. Go is very very fast. Not just the language but also the compiler. Go compiles fast, runs fast. And you still feel quite productive, much more productive than you would feel in C++ or Java. The syntax is simple. You won’t have to remember many keywords. The static typing provides safety to a great extent. IDEs can provide better code completion and refactoring assistance. Compiler would help you reduce bugs by catching many potential errors before the program even starts to run (which is applicable to all statically typed languages, nothing Golang specific but with Go’s “light on keywords” design, it’s just more productive and enjoyable). Go provides a nice, extensive standard library with all the batteries you might need for day to day system or network programming. You want to build an awesome web app? Go standard library has you (mostly) covered. The major win for Go is perhaps the concurrency primitives. We can create very light weight threads called goroutine which are multiplexed on all available CPU cores. We can easily communicate between the goroutines using channels. I personally found the goroutine and channels based way of writing efficient concurrent programs very easy, elegant and pleasant. Don’t be afraid of writing highly concurrent programs any more! Golang also compiles everything and generates a single binary that includes everything that you need to run the program. You do not need to have anything installed on your target machine to run the binary. This is a huge win in terms of deployment. Writing and distributing command line tools have never been easier! It’s quite popular. Golang is currently ranked 16 on the TIOBE Index. Tiobe also declared Go to be the language of the year in 2016. Interestingly they also chose Go as the language of the year back in 2009, the year it was released. It stands 15th on the RedMonk language ratings. If you compare active repositories using Githut, Go would be the 14th most active language on Github. For a new programming language, that has released it’s first major version in 2012, that ranking is quite impressive. If you think about the growth of the language, it’s been getting a lot of traction. How’s the job market, you ask? Don’t worry, Go has jobs for you! Also check out the HackerNews “Who is hiring?” threads. I see a lot of Golang related job postings there. 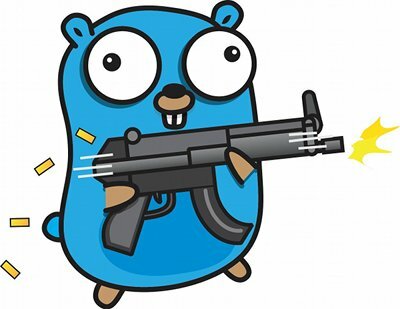 And do not forget, Golang pays well. The Official Tour is excellent. I recommend it to all the beginners. You will have a very good basic once you complete the tour. The tour is also available offline in case you want to learn some golang while on vacation or on the go. Go By Example is another excellent step by step tour. I always refer to this site when I need to lookup a syntax or need a quick reference. Effective Go is a nice read if you want to learn the best practices and want to write idiomatic Go codes. The Little Go Book is a great free book for learning Go. Official Documentation is something we all should keep close to us while writing some Go code. The Go Blog – This is something I really really love. The official Go blog has many interesting and detailed stuff. Trust me, there’s a lot to learn from there. Highly recommended. If you need some help, please feel free to ask in Gophers Slack or the Go Forum maintained by the GoBridge people.